At long last, Manchester's worst kept secret - Homelife - a brainchild of Paddy Steer with subtle persuasion from Graham Massey and friends get some long deserved attention and propage from the good Uncle Ninja. A very fresh piping hot brew of spiked tuneage & nu exotica, as a pointless association imagine Esquivel jamming with Sun-Ra and Alice Coltrane's string quartet plus an infinite amount of inspiration riding throughout the music. 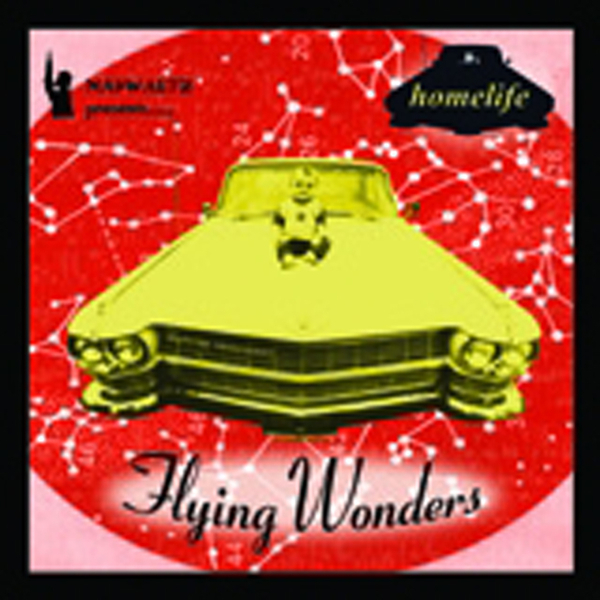 Very addictive stuff from the first title cut 'Flying Wonders', the whole album really needs to be heard in the flesh - exotic instrumentation, samples, lush strings, heart warming vocals, loopyness - hatstand genius if you ask me, even Ninja themself class this album as 'hard to classify' and i'm struggling. All I know is that it's good for the soul and a true gem, try to get to see them live. Eleven tracks long with not a second wasted. Will be hard not to see it in the best of year round up's as our friendly Ninja continue to amaze. Cheers!